ePublishing Knowledge BaseePublishing Knowledge BaseePublishing Knowledge Base Creating, Managing, and Selling Products How do I create product variations? Product variations allow you to create different versions of your product and sell them at different price points or formats, if desired. For example, you may have a book available in hard-cover and soft-cover. When you set up product variations, the hard-cover option would appear on the soft-cover book product's landing page and vice versa, providing a clear choice for your customers. 1. 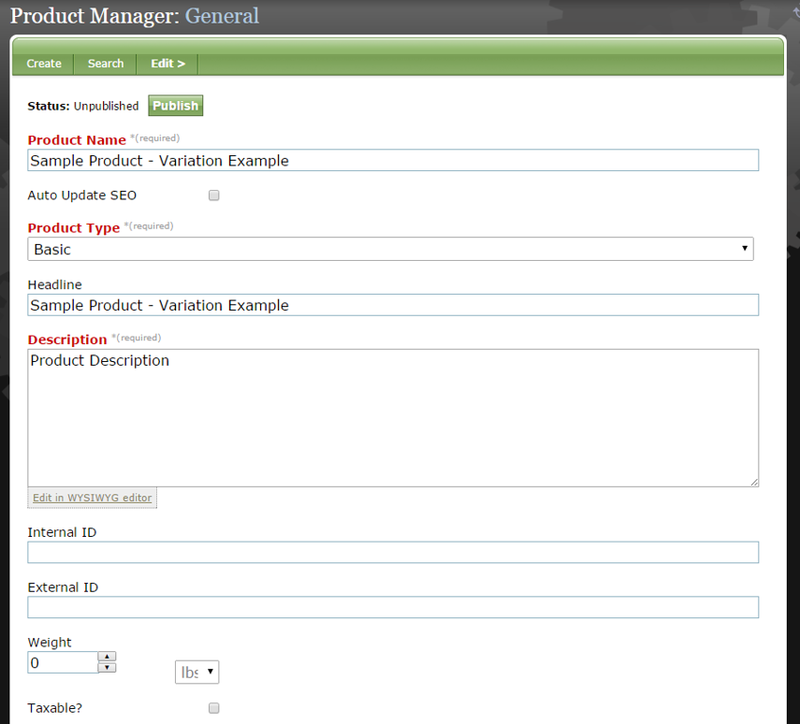 In the Product Manager, select Variations under Edit in your product. 2. Update the Product Name and Headline to reflect the variation. Zoom: Update the Product Name and Headline to reflect the variation. 3. Update the variation of the product as you would a standard product and click Save. Get more details on editing your product in: How do I create a new product? 4. Your product variation is not yet live. 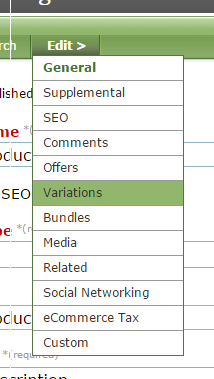 Click on the name of your product variation to edit and publish. Zoom: Your product variation is not yet live. 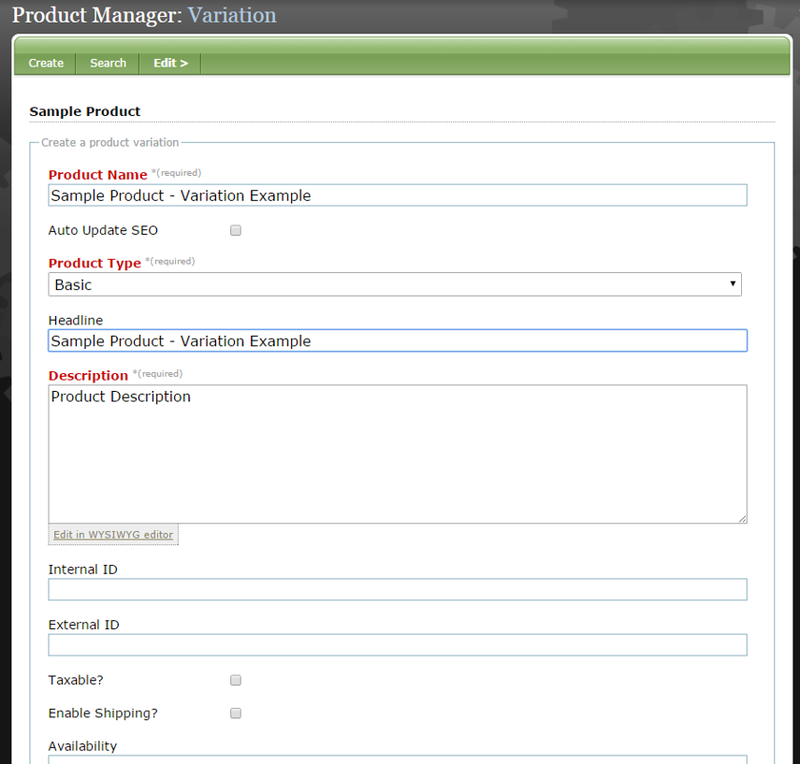 Click on the name of your product variation to edit and publish. To delete, click Delete on the right side. 5. Edit and publish your variation. Zoom: Edit and publish your variation. Prev: How do I create product bundles? Next: How do I create a Classifieds or job listing?